Whether you are looking to buy a detached in Giggleswick, rent a semi in Stainforth or looking at homes ideal for first time buyers in Settle, our friendly team can help you each step of the way. Call and book a free property valuation today! Selecting the best estate agent is a critical decision when it comes to selling your home. At Dacre Son & Hartley we pride ourselves on delivering an exceptional service, and with considerable experience of selling and letting properties in the Settle and Yorkshire Dales area including Giggleswick, Hellfield and Long Preston, we consistently deliver the right results for our clients – just take a look at allAgents.co.uk to see what our customers think. Exceptional knowledge of the local area and our network of 21 estate agents' offices across Yorkshire ensures your property is seen far and wide, whether it's for sale or to let. As well as selling homes, we also have years of property management and residential lettings experience behind us and our property rental agents can help you navigate the rental market with ease. So, if you have a property to rent our extensive lists of potential tenants means we can help to quickly find the right tenant for you. 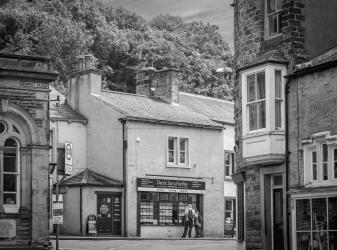 Settle estate agent Tom Galloway is Office Manager at Dacre Son and Hartley Settle. He is supported by a strong team including Melanie Rayner who previously worked for Trevor Graveson estates and lives in Giggleswick, Anna Collier who worked for Dacres since 2015 in our Skipton estate agent office and Anthea Kendrick who looks after accompanied viewings - meaning Dacres Settle offers a full seven-day service! Tom also has a wealth of knowledge helping landlords and tenants with rental properties in Settle, Giggleswick, the Yorkshire Dales and Three Peaks area, dealing with rental properties across the area. He is supported by Property Manager Richard Thomas, and together they ensure your residential property investment is in safe hands.